As today marks the return of the excellent Ash Vs Evil Dead tv series I thought I would upload a model I made to Shapeways of the trailer he uses. This sort of trailer can also be seen in other media like the great but short lived Wonderfalls or the dino terror ride of Jurassic World! 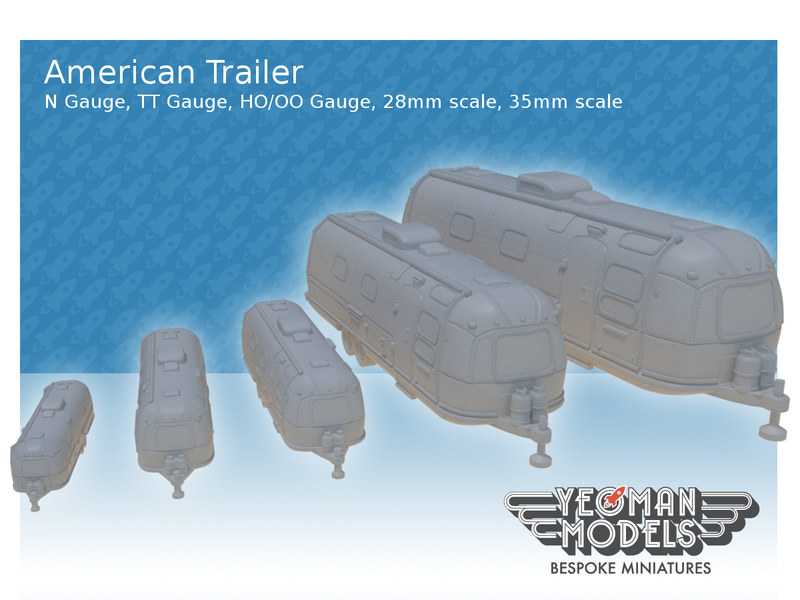 The trailer can be bought as a N Guage, TT Gauge, HO/OO Gauge, 28/32mm scale and 35mm scale. As with all the models I make at different scales, I add detail and change detail proportions to get the most out of each size of model. 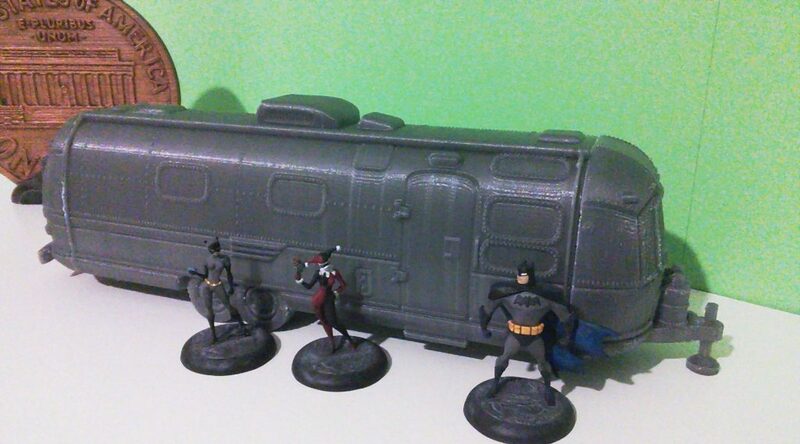 As I now own a FDM printer, I decided to print the 35mm scale one as a piece of scenery to go with my Batman figures that I bought from Grekwood Miniatures. The print took 24 hours and was printed in silver PLA in three parts. Apologise for the rather poor photo. The trailer was fresh off the printer and still needs some cleaning up and is only held together by blutac! That said I think it looks rather neat and will look better once cleaned up, glued and given a nice coat of chrome paint. Also, in the background you can see the Batman Giant Penny I made and painted.